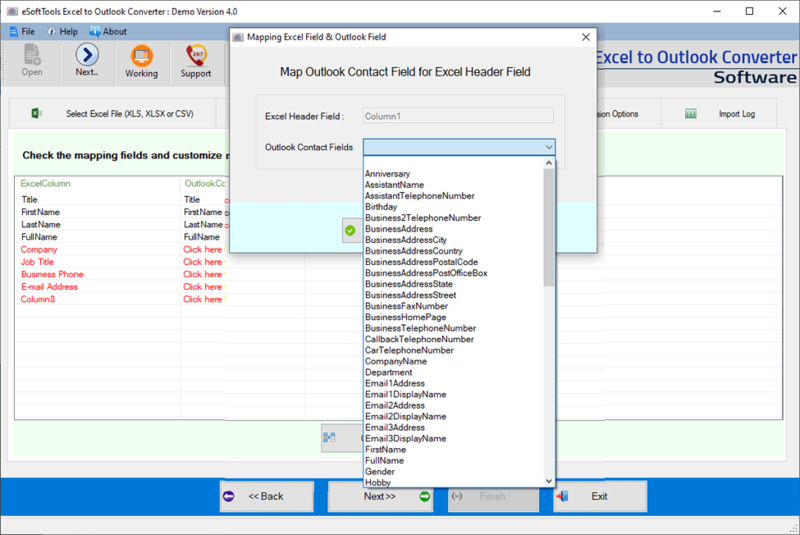 How to Export Excel to Outlook Address book? 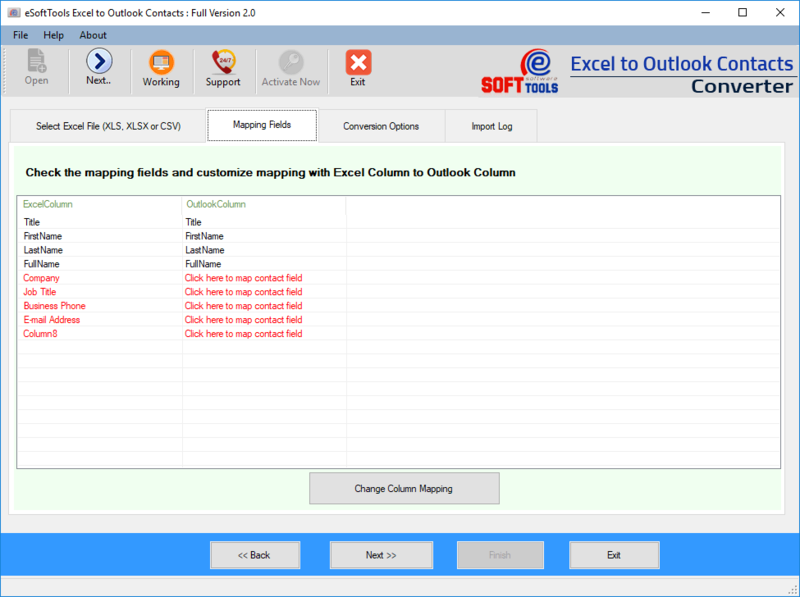 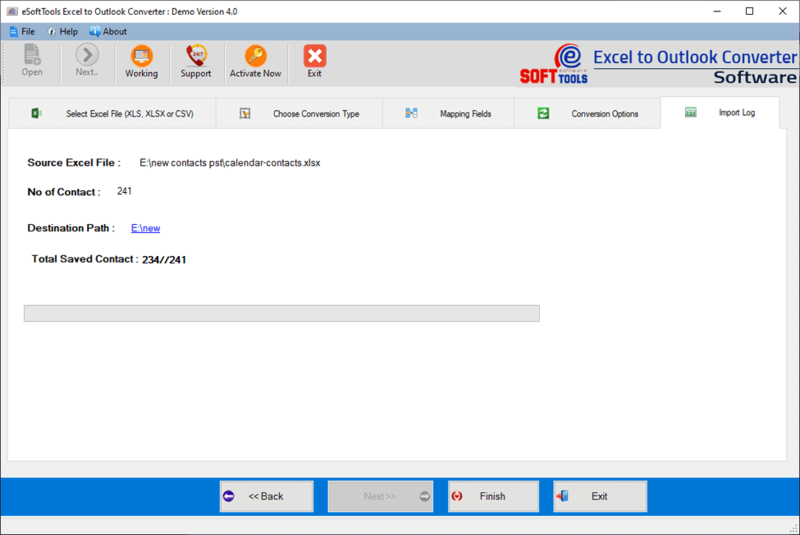 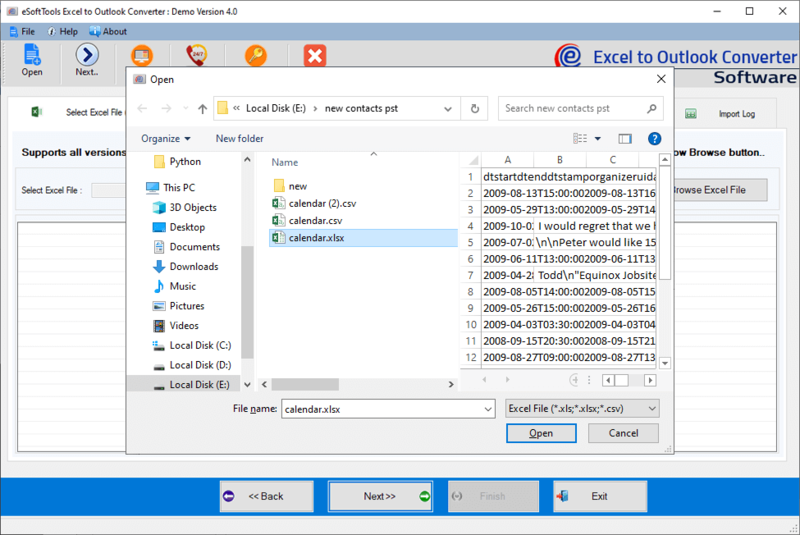 Excellent Excel Address book to Outlook Conversion tool to smartly import, export contacts from Excel file to PST, vCard & MSG file. 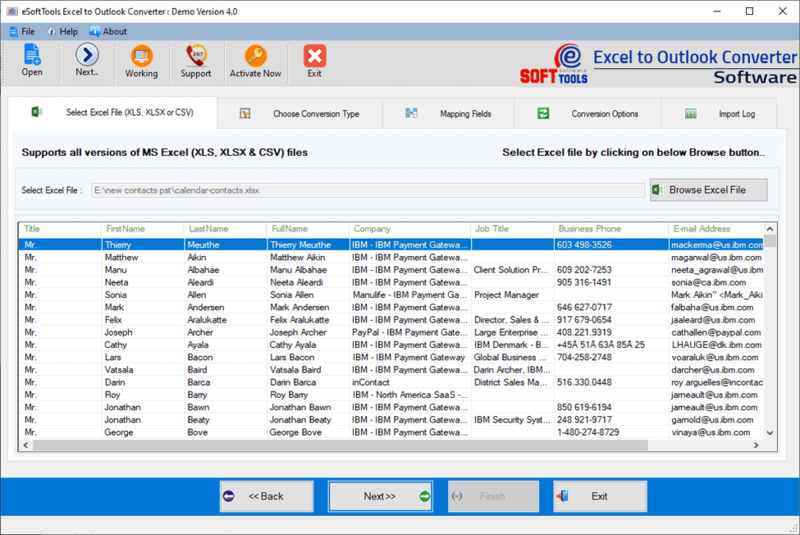 Select the required conversion formats from available 4-different types of conversion options. After selection, you must specify the saving/ destination path by clicking on browse button and then click on Next button (Located on the bottom of software dialog) and proceed to real conversion phase.